15 March 2019 Vine pruning reaches its end ! 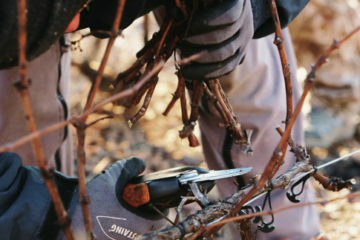 The vine pruning reaches its end at Château Bellevue, the young vines were pruned at the very beginning, now it is the oldest vines to undergo the winter cup. Wherever possible, cut woods are milled to restore soil-stable organic matter and maintain their structure. 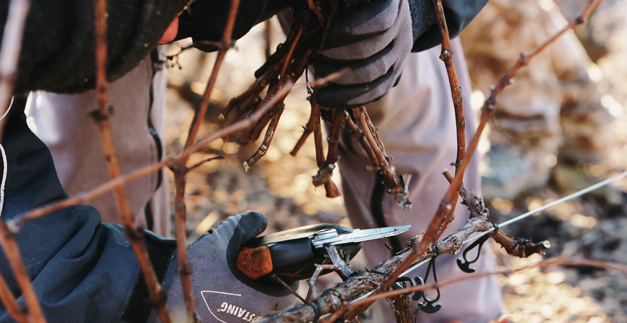 Our unique grape variety, Gamay Noir, is carefully pruned to limit wounds to maximize the quality of sap travel. The 2019 vintage wakes up slowly ..